Can you believe that our attention span is shorter than that of a goldfish (eight seconds against nine)? For us content marketers this means there is a small window of opportunity to capture a prospect's attention. So we better up our marketing game. As we create interactive content like quizzes and calculators, we need to ensure that users actually end up engaging with the content. Thus, it is important that we pay special attention to the “persuasion quotient” of our quizzes and calculators. What is persuasion? For the purpose of our discussion, persuasion is the process to getting visitors to engage with the quiz/calculator the way we intend. How do you become persuasive? Well for that we will have to turn to Robert Cialdini’s book, Influence: The Psychology of Persuasion. His book contains the definitive list of the principles of persuasion that can help any marketer boost engagement and conversion. Now, if you are ready, let’s decode what each principle entails and learn how we can apply those principles to get more results out of our quizzes and calculators. Pro Tip: Have a look at this amazing article on persuasive techniques by Contentfiesta. Robert Cialdini describes social proof as “the tendency to see an action as more appropriate when others are doing it.” It’s quite true, wouldn’t you agree? We are living in an age of information overload. There is no way, we can consume everything that comes our way. So what do we do? We follow trends, we follow our friends and acquaintances since these work as cues to help us make a decision. To understand this better let’s talk about ‘social media shares’. Shares are literally the currency of social media world; the more you have it, the more curiosity you are going to generate. So, if an internet user sees a couple of people in his/her social circle take a quiz, they will follow suit. This trend following amounts to yielding to social influence which you can as a marketer must capitalize upon! Now, you must be wondering what makes people share quiz/calculator results? Well, a Mashable article says it’s narcissism’. But, for you to trigger a narcissistic response (i.e. sharing quiz results) you should use positive reinforcement. Use words that project them in a positive light. 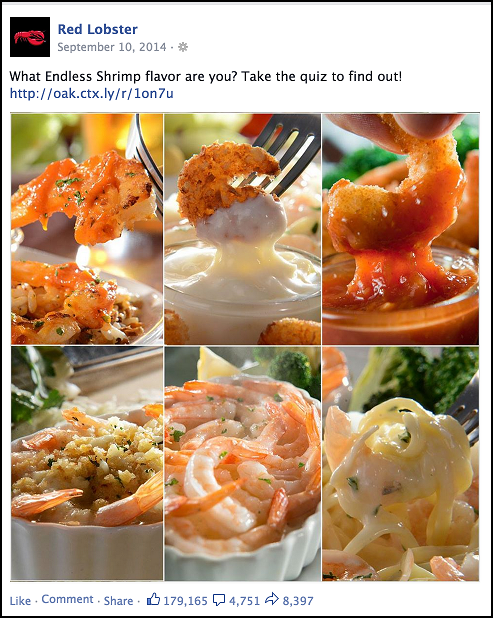 Besides, if possible, add social sharing buttons to the quiz, preferably with a display counter. If this isn’t possible then embed the quiz on your blog. The principle of reciprocity is based on returning a favor. So, whatever your goal (sales, lead generation or brand awareness), make sure your offer is not refusable! Perhaps even follow Neil Patel’s advice and give ‘generously’! Repurpose useful content, make an ebook and give it away for FREE. In short, whatever your giveaway, let them see it as a utility to them. Here is an example of a quiz published on Travel Weekly’s NorthStar site that offered a hefty $250 worth gift card. 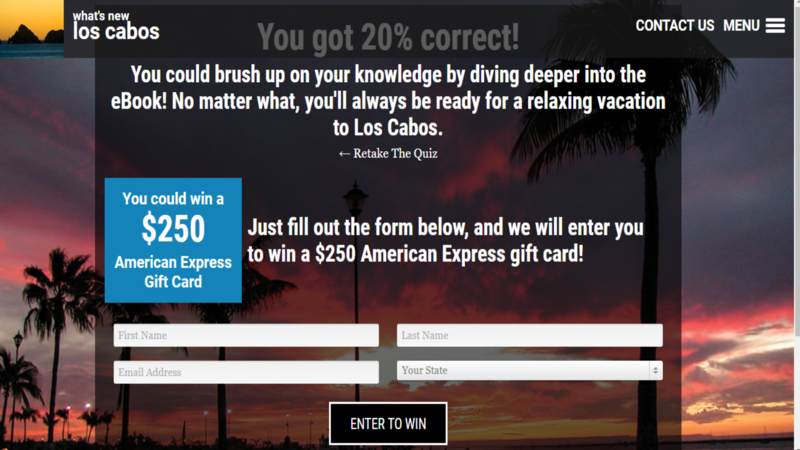 The quiz was apparently meant to test visitors’ knowledge of the Los Cabos, one of Mexico’s top beach resorts. 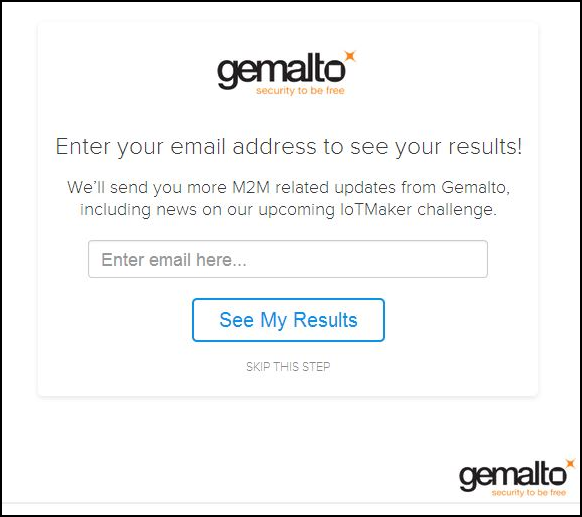 Another example of how you can ask prospects to reciprocate your gesture is by luring them not only with access to quiz results but also receiving updates on an ‘upcoming’ challenge. You create curiosity around the challenge and give them an additional reason to share their email id with you. As per Cialdini, the “liking” principle implies that you hold a certain degree of influence over those who like you. 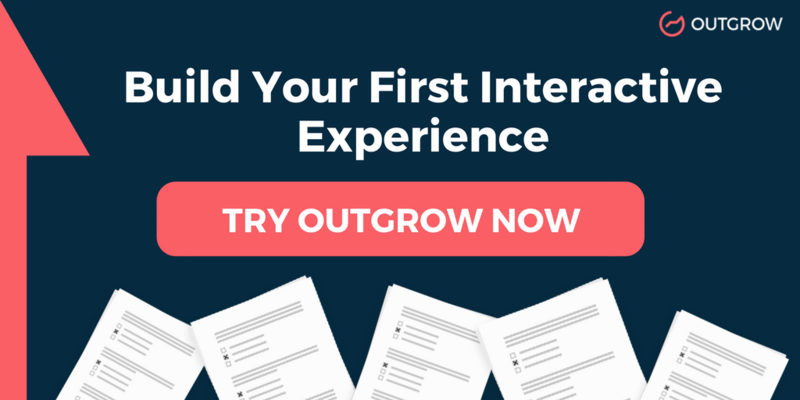 To be liked by your prospects you’ve got to keep a few things in mind while building interactive content. First of all, your tone should be conversational, breaking all the walls of formality. Write an attention-arresting title for the quiz or calculator. Try to use personal pronouns like ‘you, ‘I’ and ‘me’. These draw them into the conversation that is supposedly taking place. Most importantly, use images that evoke emotions. 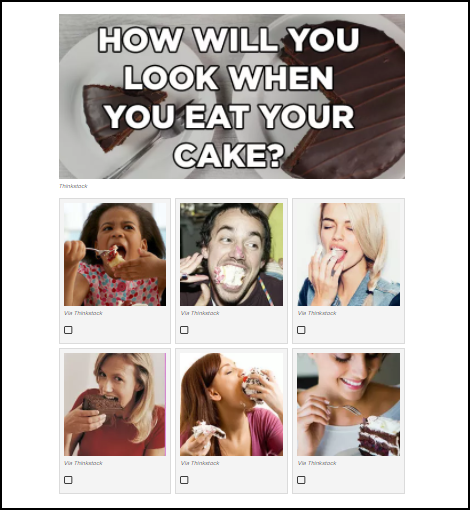 You could take a cue from the following Buzzfeed quiz. Note the images. Don’t they make you smile? 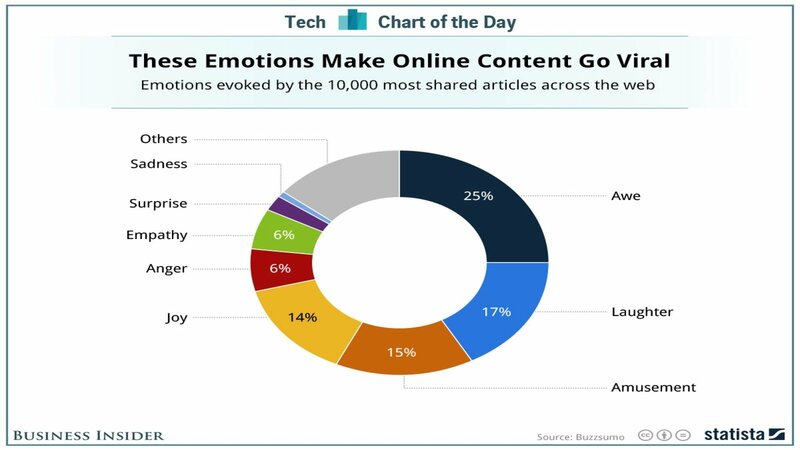 According to statistics released by Business Insider, ‘awe’, ‘laughter’ and ‘amusement’ top the chart for making content go viral! Do you now know which elements to keep in mind while writing copy for your quiz/calculator? 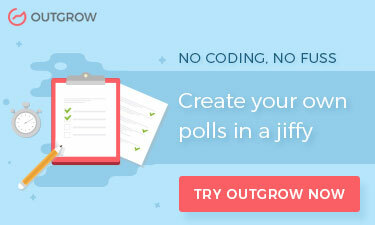 Pro Tip: Learn What it Takes to Build Viral Quizzes & Calculators. 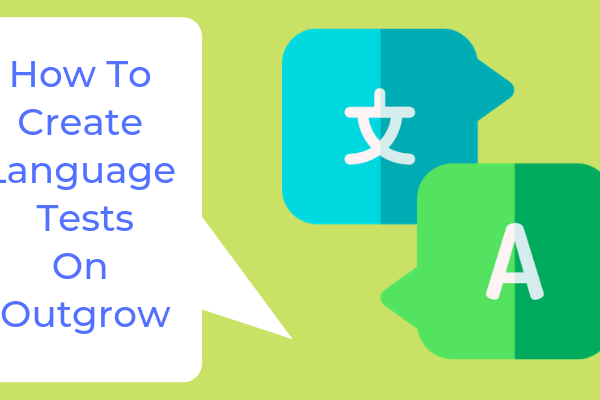 Download our Guide. 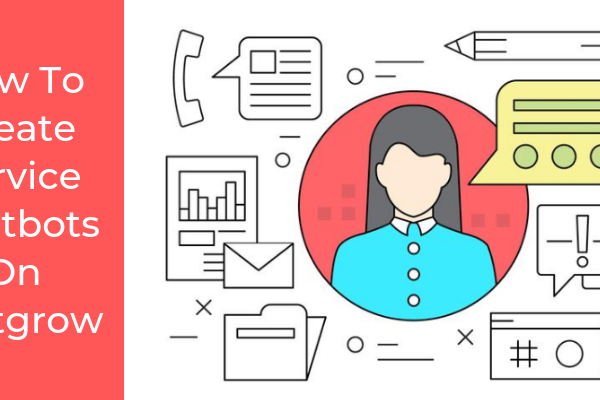 #1 When prospects reach lead generation form in the quiz/calculator, you can offer some exclusive, limited-time resources that they will get, either on the results page or later on through email. You’ll find that prospects wouldn’t bear to let go of an opportunity that lets them in on an exclusive, “limited-to-a-few” offer. #2 Once again propose a ‘limited time offer’ after they complete the quiz/calculator. This irresistible offer could be a webinar or an exclusive event. People generally tend to listen to those in authority position. Cialdini says it is done as a sense of duty. So, whenever a customer feels unsure about whether they should make a purchase they try to find out if you already have some reputed customers. A couple of good names and they are sold. Then how do you amp up your authority and credibility? Firstly, through testimonials whether written or in video format. They are very much like an award given by your clients for the excellent work you have done for them. In fact, these testimonials will carry more weight if they come from well-known experts or influencers from within the industry. 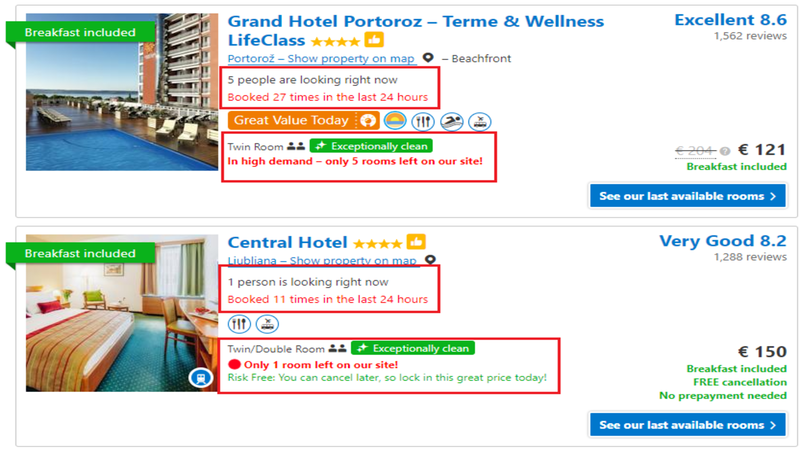 You can use these testimonials in your results page or your lead gen form to persuade your users to engage with you. In the end, you will definitely hear a round of applause in form of new leads that are generated, thanks to the authority you now command! By the way, who doesn’t know about BuzzFeed? 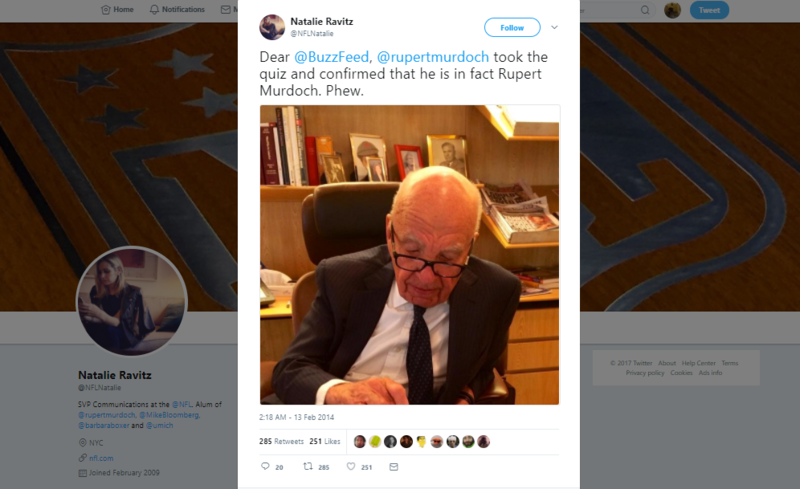 But, in a parallel universe where they aren't yet popular, the photo of Rupert Murdoch below, taking a BuzzFeed quiz, could work as an excellent influencer marketing strategy! It is human nature that once we make a commitment we like to honor it. A psychological explanation to it is that we are wary of the image we create when we commit to anything. We want to make sure we deliver what is expected of us. In this regard, this principle applies to marketing interactive content as well since it improves completion rates and also proves engaging for quiz taker. For example, someone who is taking a quiz or using a calculator, each click they make signifies their commitment to completing the quiz. Since, with every question they are already providing information about themselves, they don’t think to share their email address is much of a task. They remain consistent in their commitment and go on to complete the quiz/calculator. 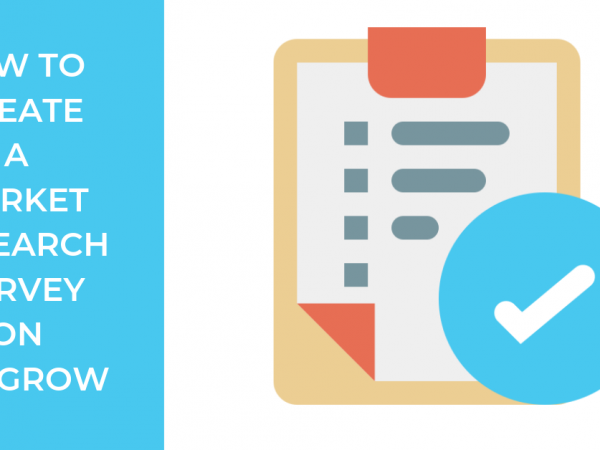 Wouldn’t you then put these shortcuts to good use and making your content stand out? Doing so, over a period of time, you’ll definitely be able to generate an unprecedented boost in your conversion rates.